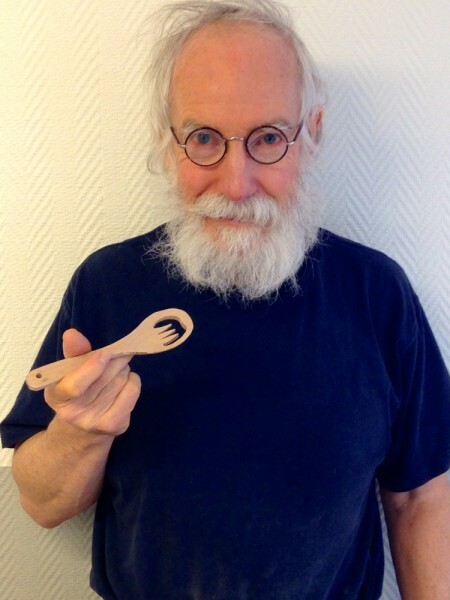 After much research and development I am proud to present the innovative YRVIND SAFETY SPORK. A spork is an eating device which combines the features of spoon and fork, hence the name. 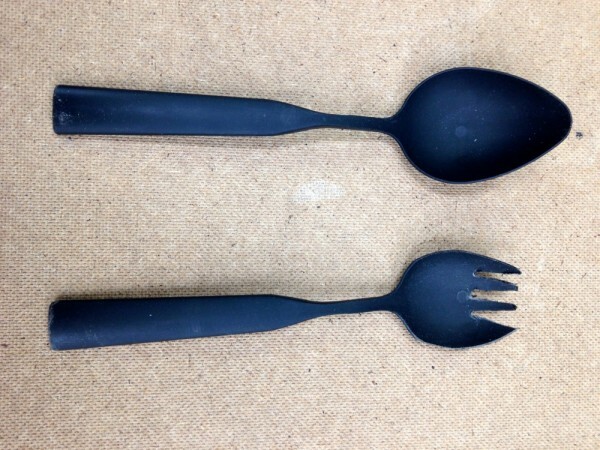 The ordinary inferior spork might be described as a spoon with a fork attached to the upper end of its handle When you want to use it as a fork you simply turn it end for end. This has the great advantage of saving you from the boring work of putting down the spoon and picking up the fork when eating different dishes. Besides this reduces the number of tools that clutter up the table. But beware; having a fork so close to the eye is highly dangerous, especially on a small rolling boat. Thanks to the YRVIND SAFETY SPORK that problem is now solved. 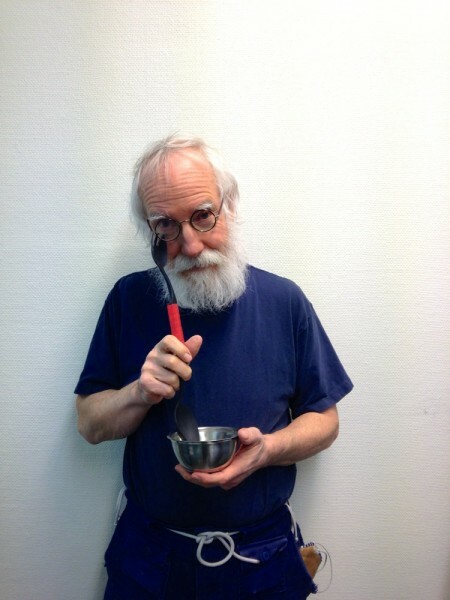 There are other advantages it takes much less of the earths non-renewable recourses to produce the YRVIND SAFETY SPORK. According to basic axiomatics more comes from adding, less comes from subtracting. An eight-year-old girl can understand that. Unfortunately the functionality of YRVINDs SAFETY SPORK is at present not optimal. 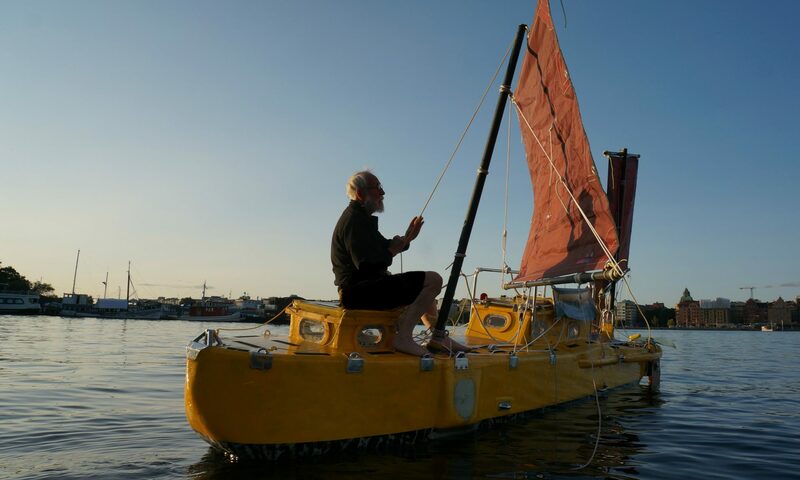 However as can be seen below the products other advantages compensate more than enough for this minor flaw: It is easy on recourses, it is very safe, as it is made out of wood it does not sink, it just slowly floats away, it is stunningly beautiful, it takes less space and is lighter than the ordinary spork, it is biodegradable and ecological. As sharpii2 has suggested, it is excellent for dieting. Furthermore, I am sure with a bit help from my readers the weakness of its functionality will soon be overcome. One more thing: This Sunday we lost one hour due to shifting to daylight saving time. Our Government says, “don’t worry you get that hour back in the autumn”. I do not take that as an answer. I do not trust them. I like to know what happens to that hour during the summer. Like Marcel Proust I will be: “In search of lost time”. 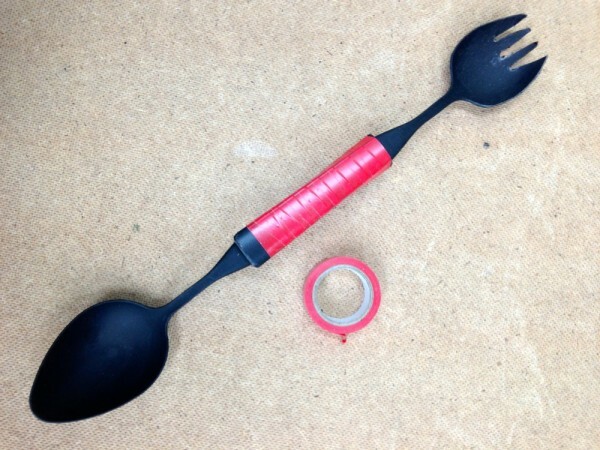 Below How to make a conventional spork. Start with a fork and a spoon. Tejp them together and you get the product. Picture below show how dangerously close to the eye the pointed ends of the spork can come when in use!